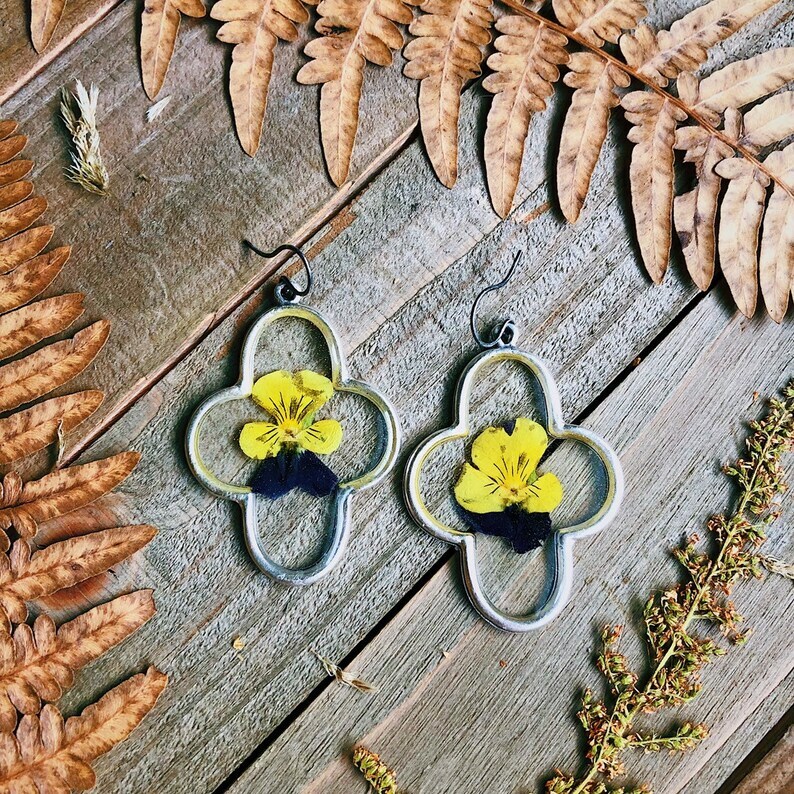 These pansies were gathered and pressed in my Nature Press. They were carefully placed and preserved with resin in a tribal flower design silver framed bezel. Truly unique and one of a kind. Light in weight. Material : Nickel free and Lead free metal/silver plated. Sterling silver hand forged and oxidized ear wires.